4435 E. Paradise Village Pkwy. 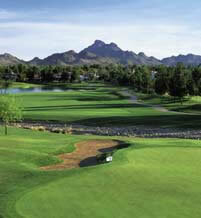 S.
Stonecreek Golf Club is a traditional style golf course located close to Scottsdale, Arizona. This Arthur Hills design travels through meandering dry creek beds which come into play of 15 of the 18 holes. These creek beds feature loose stones and light desert brush. Wide yet hilly fairways make Stonecreek Golf Club enjoyable and fun for all levels. Elevated greens and strategic bunker placements adds a tough challenge to the golf course for the more experienced player. Views of Squaw Peak Mountain may be seen from the golf course. Stonecreek is a great value. The course is priced moderate and conditions are always pristine. 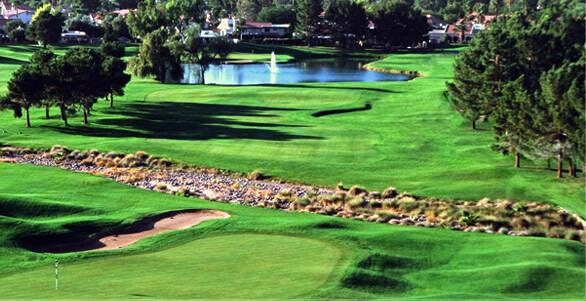 Stonecreek Golf Club is a great choice for desert/traditional mix of mid-level golf. From Phoenix Sky Harbor Airport: Follow the airport signs to the I-10 W. Merge onto I-10 W. and continue 1 mile. Merge onto AZ-51 N. via exit #147. Continue 11 miles and exit Cactus Rd. via exit # 10. Turn right onto Cactus Rd. Turn right onto Paradise Village Pkwy. S. Follow the winding road and the course will become visible on the right hand side of the road.